If Jesus came to my house I would show Him I eat good food. If Jesus came to my house I would show Him I clean my room. 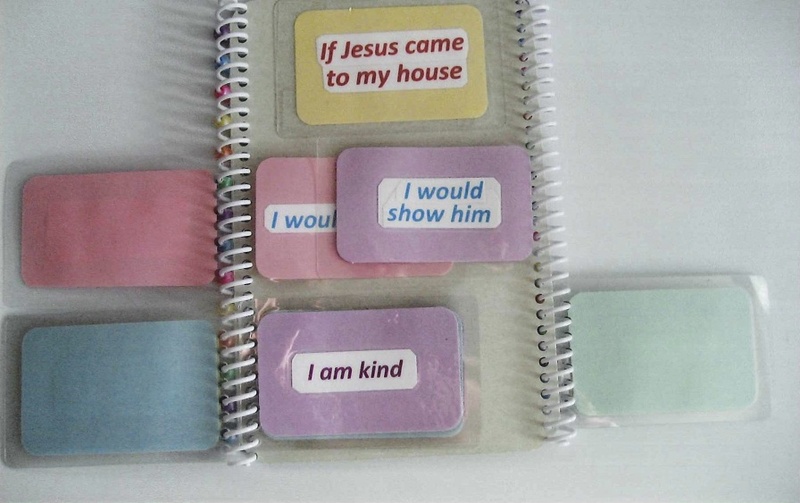 If Jesus came to my house I would tell Him I love to go to Primary. As I look back on my life, I realize how extraordinary people—particularly teachers—have blessed my life. I often recall a professor in my home country of Nicaragua who taught a basic physics class. Even though it was a secular topic, he taught with enthusiasm and reverence as he explained the elementary rules that govern all of our Heavenly Father's creations, and how creations follow those rules with perfect obedience. Equipped only with a blackboard and a piece of chalk, our teacher was able to pass on his love for the concepts he taught to us, his students. His simplicity and passion also made us want to learn more. Every time I left that classroom, I had an overwhelming feeling of gratitude and respect towards the Creator of the universe. Many times, when I have received teaching assignments at Church, I have remembered my professor and wondered: What can I do so that the enthusiasm and reverence I feel for the Gospel will be undeniable to those I teach? How can I deepen my understanding of the scriptures so I instill in my students the desire to study and apply scriptures in their own lives? You can find posters of conference quotes by clicking here. What other great ideas do you have? Send them to us throughout the year, and perhaps we’ll be able to share them with the world! This weekend is general conference! What does your family do to keep the messages of general conference in your minds and hearts throughout upcoming months? Do you have any fun post-conference activities? Any family home evening lesson ideas? We would love to hear from you! Please email us with "Keeping Conference" in the subject line at friend@ldschurch.org.